As 2015 comes to an end, commercial and political pressures upon the media in Hong Kong have become ever more defined. 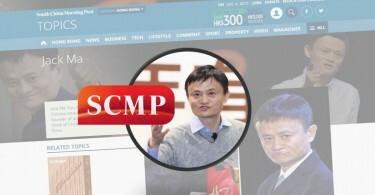 With the news today that the South China Morning Post has been purchased by mainland-owned Alibaba Group, the media landscape in Hong Kong faces new plurality concerns. The city’s most widely-read English-language newspaper will see an injection of cash, but how will its editorial independence be affected? With so many media titles already run by or controlled by Beijing, there are fewer and fewer places for English-speaking residents to turn to in Hong Kong for impartial news and views. An informed electorate is an important part of any democracy – or quasi-democracy in Hong Kong’s case. Readers should be able to call upon a diversity of news sources in order to understand what is happening in their city, see what the rich and powerful are doing, know how their tax dollars are being spent and, ultimately, choose who they are going to vote for. Content suffers and readers suffer when journalists are hindered in their reporting or when conglomerates gobble up smaller titles. 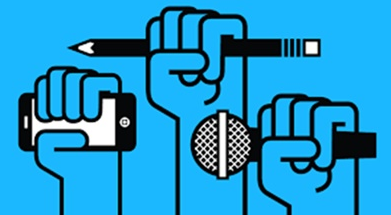 With so many English-language print titles owned by one large media group, it is more vital than ever that a city of seven million has an alternative platform for news. In our first five months alone, Hong Kong Free Press has been blocked in the mainland, hindered by the government at home and has suffered cyber-attacks, cyber-squatting and uncertainties over funding. Yet our team has also beaten all expectations, publishing 2,300 news and comment pieces, raising over HK$1 million and serving up over eight million web pages amid a blaze of publicity. We have provided a truly local news alternative and community platform, with scoops, exclusive interviews, live coverage of key events, comment, analysis, photography and explainers. It may take another year for HKFP to achieve sustainability, but it is imperative that we continue and grow. HKFP is in its embryonic stage and has infinite potential despite the limitations of its non-profit status. Our HK$2 million 2016 Funding Drive may seem ambitious, but this sum will allow us to invest in original reporting, ease our reliance on volunteers, expand our operations and pay our staff for the coming months. At this key moment, we ask our readers to back our team and help safeguard press freedom in Hong Kong.